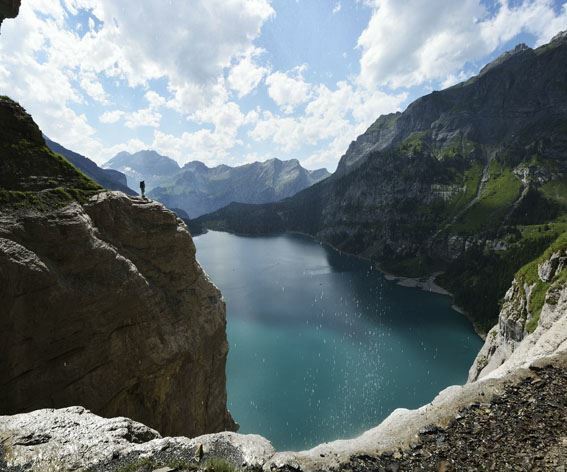 Hiking is "THE" adventure in Kandersteg and surrounding. This package is a combination of the most beautiful hikes in the area and a relaxing stay in a comfort room with view to the UNESCO world heritage - Blüemlisalphorn. Hiking trail Sunnbüel: Small idyllic lakes surrounded by pine forest in majestic mountain scenery. Exceptionally beautiful from May to July. (The lakes may run dry in late season). By cable car from Kandersteg to Sunnbüel.